Each Memorial Day, our country remembers those who have served and died. As our country reflects on the costs of freedom, we come together to tell the stories of our fallen heroes. We name our loved ones, celebrate their lives and decide again to live bigger and better on their behalf. Surrounded by the monuments and memorials of our nation's capital, we are reminded that a grateful nation never forgets. Through the support and loving care of our TAPS family, we are reminded that we are part of that story. If you are grieving the death of a loved one in the military, whether a family member, friend or fellow service member, you are invited and encouraged to attend the National Military Survivor Seminar. 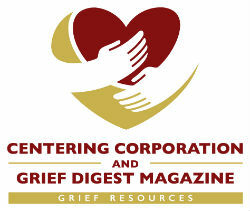 No matter where you are in your grief journey, support and connection await you. During the days we're together, you'll have the opportunity to participate in activities, workshops led by experts in grief and loss, and small-group sharing sessions. Over family-style meals and while participating in special events throughout Washington, D.C., you'll meet and connect with other survivors. You are warmly invited and encouraged to attend the 25th Anniversary of the Annual TAPS National Military Survivor Seminar and Good Grief Camp.